Booklet for Camille Saint-Saëns: Symphony No. 3 "Organ"
Info for Camille Saint-Saëns: Symphony No. 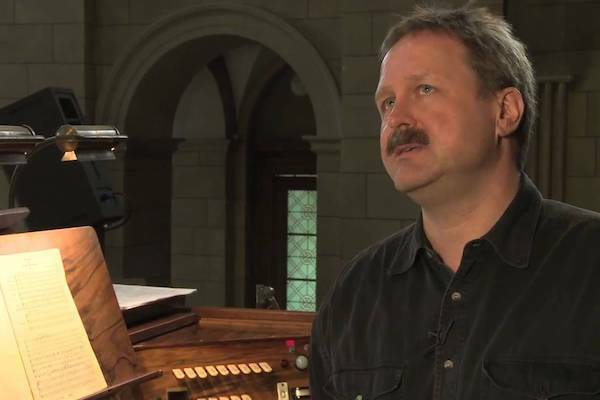 3 "Organ"
In Guy Bovet's adaptation of Saint-Saëns' famous organ symphony Op. 78 as a "Concerto for Organ and Orchestra", the organ doesn't only appear for the first time with the great C major chord in the 4th movement! It is totally integrated right from the begining as a concert partner for the orchestra which plays on original instruments from the 19th century. 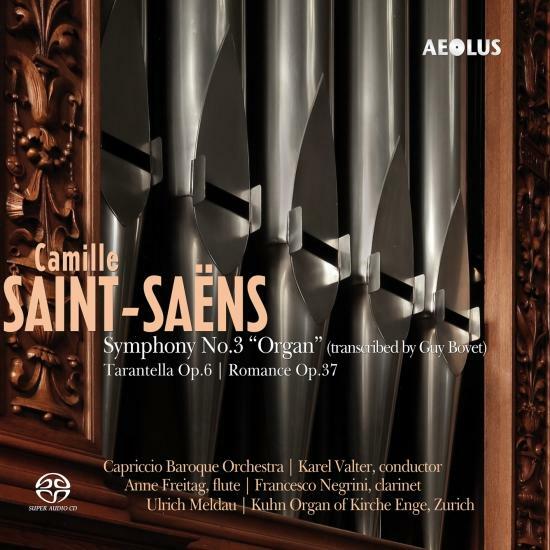 Camille Saint-Saëns Third Symphony in C Minor Op. 78 is - along with his "Carnival of the Animals" - one of the best-known works of the French composer, even of classical music in general. In the present version of this Opus, now recorded for Aeolus, the organ doesn't only appear for the first time with the huge C major chord in the 4th movement! The Swiss composer and organist Guy Bovet had the genius idea to transcribe this work as a "concert for organ and orchestra". In his arrangement, the organ is very present from the first movement on, since Bovet has transferred numerous orchestral passages to the solo instrument. This premiere recording of this version was made in December 2017 in the Reformierte Kirche Enge, Zurich , which is known for its excellent acoustics. The soloist is Ulrich Meldau, playing the big Kuhn Organ. Meldau performed on numerous recordings of compositions for organ and orchestra on the label Motette in the 90s. The Swiss ensemble "Capriccio Barockorchester", which specializes in historical performance practice, plays on historical instruments of the 19th century under the direction of Karel Valter. Thanks to generous financial support, it was even possible to produce the work under studio conditions, which nowadays has almost become a luxury for larger orchestral ensembles. The album is supplemented by two charming chamber music works by Camille Saint-Saëns, which have been arranged by Ulrich Meldau for solo instruments and organ.